Each year at the end of October or early November Cycling Geelong runs The Jim Day 100. 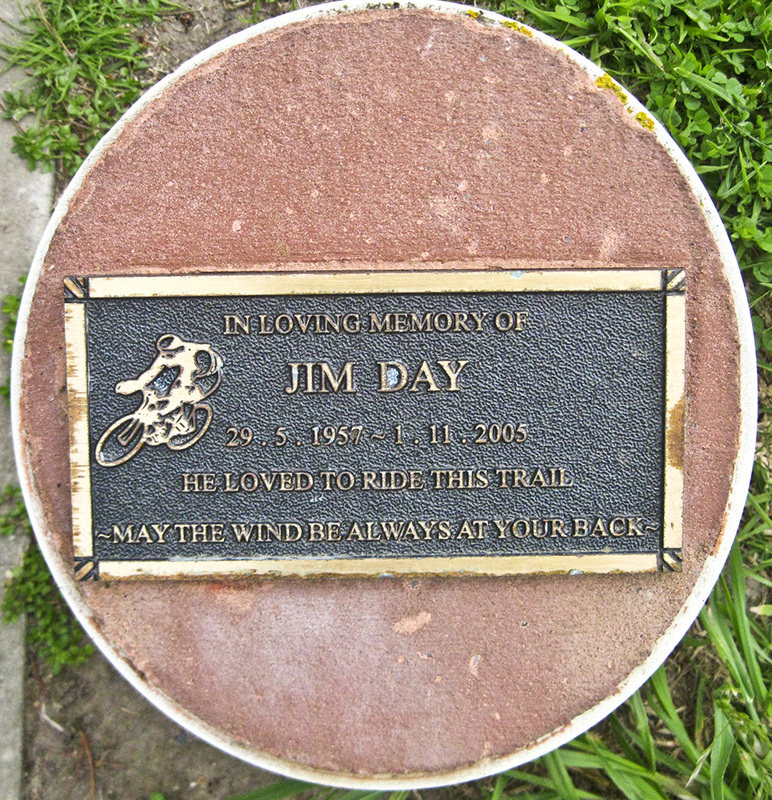 This ride commemorates the life of one of the club’s foundation members, Jim Day. Jim was and active Cycling Geelong member and a valued committee member before his death at an early age in late 2005. Jim had become a dedicated cyclist after being diagnosed with a heart condition and diabetes in around 2000. He rode for pleasure and, in doing so, gained a new interest, lots of new friends, and lost a lot of weight. As a new cyclist, Jim loved to support others in their own cycling. He supported the Bike Ed program at Drysdale Primary School, where he was also President of the School Council. In particular, he enjoyed leading interesting bike rides for Cycling Geelong. Two rides became an annual fixture each spring. Jim saw these rides as helping members in their preparation for Bicycle Victoria’s Great Victorian Bike Ride. The first ride was ‘Around Lake Connewarre’ – a ride of around 60km. Cyclists rode from Geelong to Lake Connewarre via Barwon Heads Road and Lake Road, then to Barwon Heads and Ocean Grove, before returning via Wallington and the Bellarine Highway. The second ride remains a fixture on Cycling Geelong’s ride calendar. Now known as The Jim Day 100 it is a full circuit of the Bellarine Peninsula – Geelong to Drysdale, Portarlington, Indented Head, St Leonards, Point Lonsdale, Ocean Grove, Barwon Heads, returning to Geelong via 13th Beach. The distance is a little over 100km. The ride is always a challenge, due to hills, traffic (especially when, as this year, it coincides with the Melbourne Cup weekend), varied road conditions and weather. As this is one of the longest rides in Cycling Geelong’s ride calendar, several shorter options were offered this year. 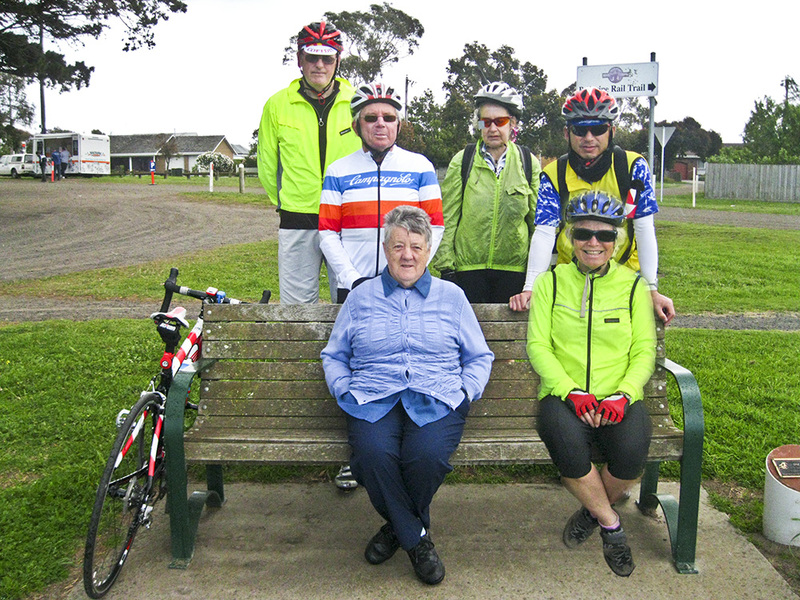 All were to meet at the Drysdale Railway Station, on the Bellarine Rail Trail, where a memorial seat and plaque honour Jim Day’s contribution to his community and to cycling. However, the day of the ride, weather conditions were appalling. Gale force westerly winds were to strengthen and move to the south west. Showers and hail were predicted. 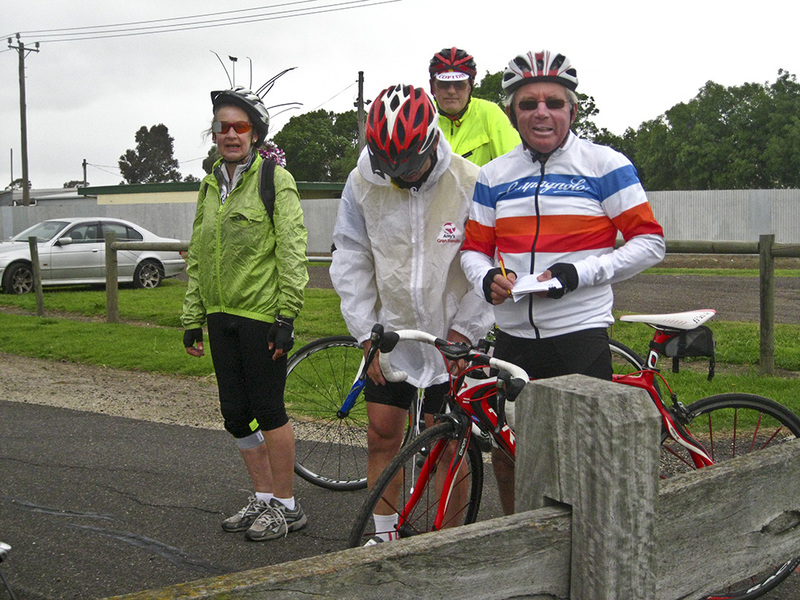 Nevertheless, five cyclists joined leader John at the start of the Rail Trail in South Geelong. All were opting for the longer ride. After a detour in Leopold to pick up optimist Barry’s rain jacket, the cyclists made fast time to Drysdale, where they were met by Heather for a photo. The hills to Portarlington, while never easy, were eased by a strong tail wind and by 10:30am the riders stopped off at the bakery for a coffee. (Please note – the almond croissants are enough for two!) Despite drizzle at times, and wet roads in places, at this stage the cyclists had avoided the rain. After coffee it was an easy ride to St Leonards. The ride then turned west into Murradoc Road to be met with heavy traffic a strong headwind. It’s good to see a small part of the road had new shoulder with smooth surface (narrow though, about 1 metre wide) and clearly marked dividing line. Portarlington-Queenscliff road was bit easier with a cross wind. Drafting helped give the tired riders some respite. Shell Road was tough with a stiff headwind and a good hill up to Ocean Grove. Another coffee break was needed. The Dunes proved just the thing. Terry was so tired he ordered a bottle of Coke and cake (John had never seen a rider drink Coke before). This was when the rain came down – about five minutes but while the riders were snug and dry at The Dunes. Barry and John convinced Terry to persevere back to the starting point, rather than riding home to Torquay (against the headwind all the way). Thirteenth Beach Road was so windy the riders were sandblasted in the face – great for the complexion they say. Barry and John once again reassured Terry to keep going back to Geelong. This proved the right decision with a tailwind from Breamlea. Terry got his second wind and everyone rode very well to finish. John’s distance (including riding to and from North Geelong) was 122km for the Bellarine Peninsula circuit. Congratulations to all these hardy riders – this was a fitting memorial to our friend and cycling mentor Jim Day. This entry was posted in Cycling history, Ride reports by hlyth2013. Bookmark the permalink.